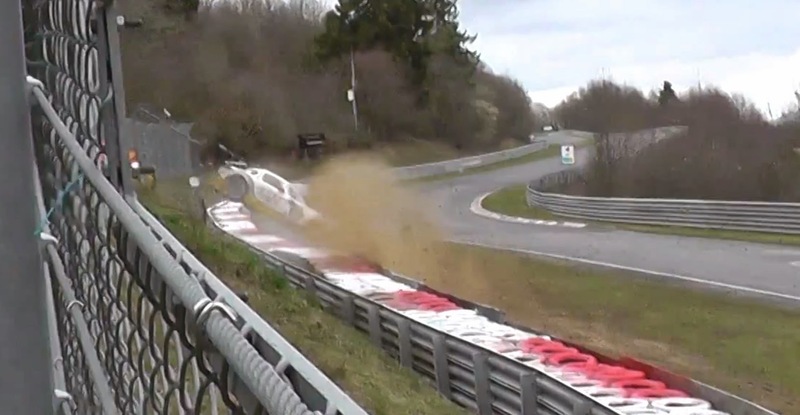 Axis Of Oversteer: ...meanwhile, at the Nürburgring, a marshal needs new underwear. ...meanwhile, at the Nürburgring, a marshal needs new underwear. VLN testing was on the way when Richard Göransson's Rowe sponsored Mercedes SLS, on slicks, found Flugplatz damper than expected. Off on the wet grass at over 100 mph, rather than being contained by the rather flimsy double tire barrier, the big Merc is launched and crashes into a marshal post. Driver was ok and the track worker miraculously unharmed but perhaps new Nürburgring owners Capricorn might want to re evaluate some safety features in the future.